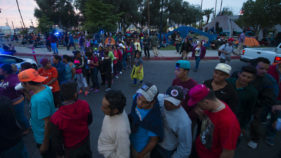 US troops stationed on the border with Mexico ahead of the expected arrival of a Central American migrant caravans can intervene to quell violence but will be armed only with batons, Defense Minister Jim Mattis said on Wednesday. 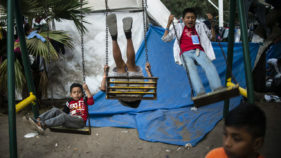 A federal judge on Monday put a temporary halt to a Trump administration order denying the possibility of asylum to people who enter the US illegally. 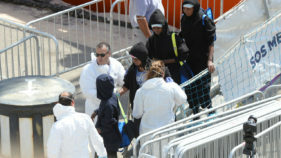 British officials have picked up nine migrants who were trying to cross the English Channel aboard an inflatable boat, French authorities said Wednesday, a day after 17 others succeeded in reaching Britain in a stolen fishing boat. 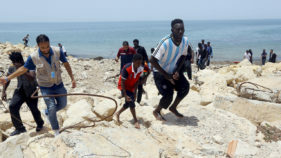 Ten people were missing on Monday after a boat carrying illegal migrants sank off Turkey's western coast, the Turkish coastguard said. 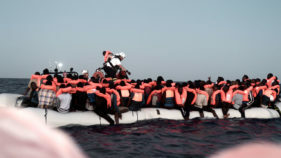 More than 2,000 migrants have died since January trying to cross the Mediterranean to reach Europe, the UN said Tuesday, adding that more than half of them were headed for Italy. 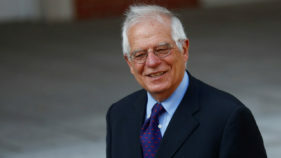 Spain's foreign minister revealed that US President Donald Trump suggested building a wall along the Sahara desert to stem the arrival of migrants, as he plans to do on the Mexican border. 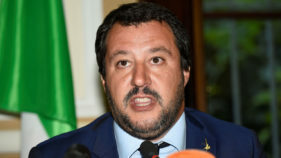 Italy's far-right leader Matteo Salvini lashed out at the UN's new rights commissioner Michelle Bachelet on Monday after she criticised the country's treatment of migrants. 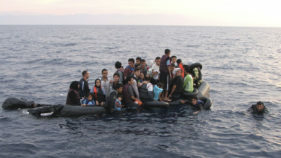 Maltese coastguards rescued 100 migrants and recovered two bodies from a small boat south of the island on Wednesday. 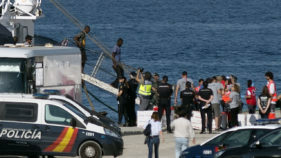 The Aquarius rescue ship arrived in Malta on Wednesday after EU countries thrashed out a deal to take in the 141 migrants onboard, defusing another diplomatic standoff in the Mediterranean. 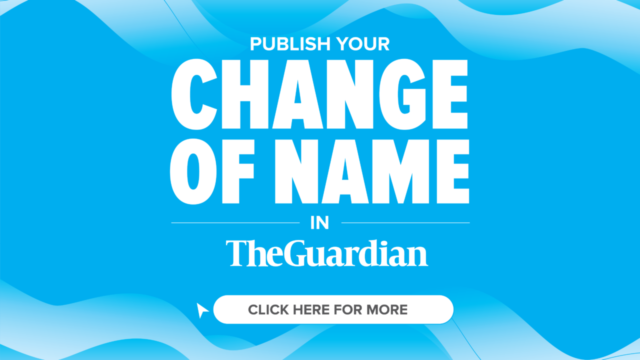 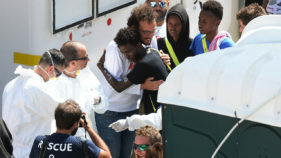 Close to two months after giving a high-profile welcome to the Aquarius migrant rescue boat, Spain once again opened its ports Thursday to a charity vessel carrying 87 men and boys saved off Libya after Italy refused access. 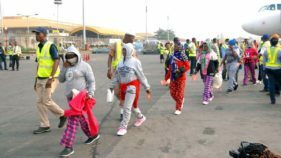 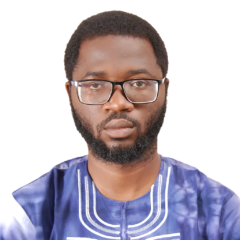 The Senior Special Assistant to the President on Foreign Affairs and Diaspora, Mrs Abike Dabiri-Erewa, says that 116 of the Nigerian migrants trapped in Libya slave camps would be repatriated home soon.